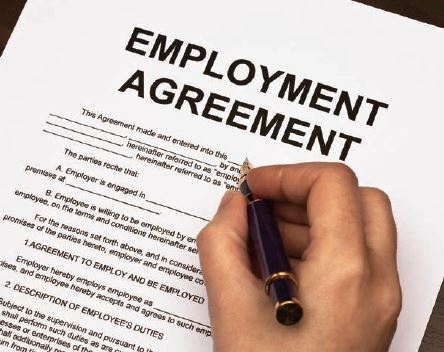 Business Central is “deeply concerned” that what is being proposed in the Employment Relations Amendment Bill 2018, plus a raft of other related legislation in the pipeline, is going to hold New Zealand back. Wellington-based Business Central is joining the call of other regional business associations and asking the Government to explain how the proposed Employment Relations Amendment Bill will deliver for New Zealand businesses. “We completely agree with the Government’s goal of developing a more modern, sustainable and high-performing economy, however we aren’t clear how these proposed labour laws will enable this to happen – if anything we’re concerned that they will do the opposite,” says John Milford, chief executive of Business Central. Business Central provides professional services and business support for member organisations throughout the central region. “We are deeply concerned that what is being proposed in the Employment Relations Amendment Bill 2018, plus a raft of other related legislation in the pipeline, is going to hold New Zealand back,” Milford says. “Our members are concerned too. We’re calling on the Government to rethink this Bill, not just because it’s bad for workplace relations, but because it’s bad for the country. Business Central was not against making changes. “But the Government’s Future of Work Forum has yet to convene, and we believe this is the proper forum to nut out the answers” he says. Meanwhile National’s Workplace Relations spokesperson Scott Simpson says businesses are right to be concerned about Government proposals to wind back the clock on industrial relations, strengthening union powers and pitting employers against employees. “These planned reforms would mean fewer jobs for New Zealanders and less competitive businesses – it is no wonder that businesses are speaking out against it. Ending the starting-out wage, removing 90 day trials for businesses with more than 20 staff, consecutive unsustainable leaps in the minimum wage, reducing flexibility, and 70s-style standardised wages bargaining will all increase risks and costs for small and medium-sized businesses, says Simpson. “We all benefit when businesses have the confidence to grow, employ more staff and lift wages. This Government’s policies are doing the exact opposite – poor business confidence means employers’ hiring intentions under this Government are the lowest since the Global Financial Crisis. The proposals will hurt Kiwi families, with unions being the only winner, he says. For more information on the joint campaign lead by the Employer and Manufacturers Association, Business Central, Canterbury Employers Chamber of Commerce and Otago Employers Southland see www.fixthebill.co.nz.